With the end of the half term almost upon us, it was time for Years 7 to 9 to take part in their next inter-form competition. 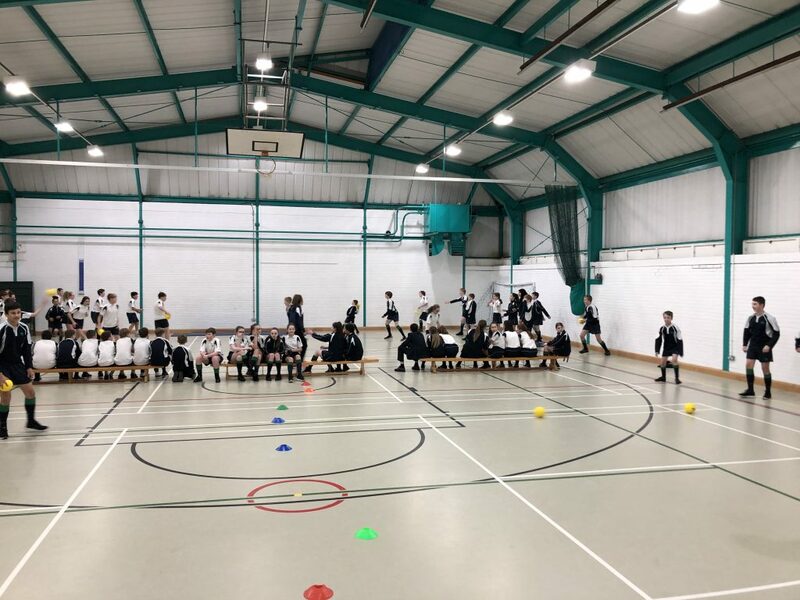 Sadly, with the weather being unpredictable and the astro turf covered in snow, we were unable to play netball and football, so we decided that another dodgeball competition was the next best thing. We completely rearranged who the forms played in their first round pools to try and shape up the finals, and we were not disappointed. The usual top 3 teams in the 9X half of the year all lost in their pools, meaning that a new set of forms were able to compete for top points. The same thing happened with the 7X forms, so the current league tables are looking very interesting. Thankfully there were no injuries this time, and every member of KS3 was able to help their team earn valuable points towards the grand total. 7DMA is storming ahead in the Year 7 league with a total of 65 points, 13 points clear! 8NMN are currently in the lead in the Year 8 league with 50 points, but 7SCP are hot on their tails with 46 points. And 9SCR and 9TST are joint leaders in Year 9 with 53 points, closely followed by 9MBH with 51 points.